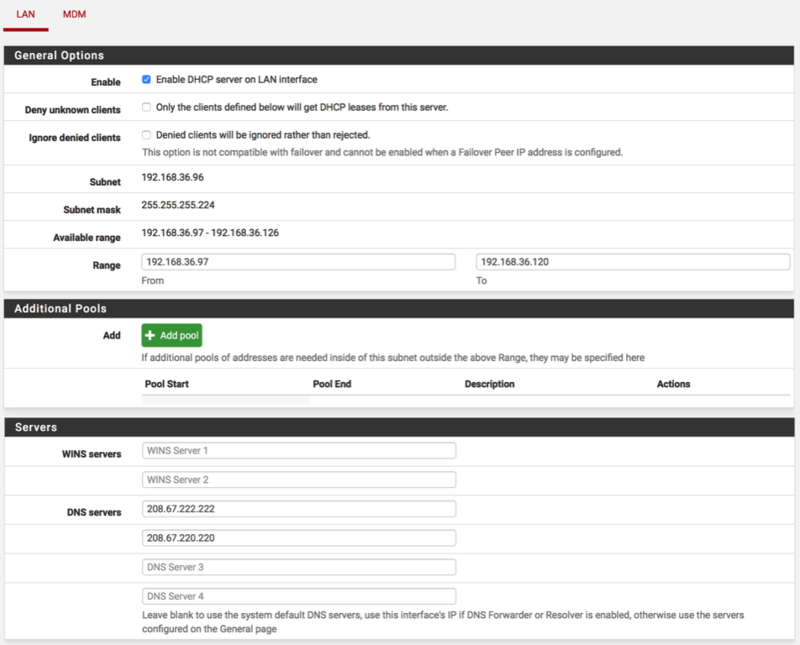 Configure the DHCP Service for the LAN interface to control the range of dynamically assigned IP addresses and the available DNS Service. Everything should be configures except the DNS Servers, as this network utilises OpenDNS as an external layer of protection their IP addresses need to be specified here. Want to learn more about OpenDNS. Navigate to Services - DHCP Server and select LAN. Enter the primary and secondary OpenDNS server addresses.